Riverview has more than 20 years in the budget accommodation business with an excellent reputation for clean, comfortable accommodation and outstanding service standards & value for money. Riverview Lodge was the first really large lodge in the Southern Suburbs of Cape Town providing group bookings large & small at affordable rates. We have since closed our main lodge and we are now focusing on our student accommodation in a range of different houses, flats, cottages and apartments. Our accommodation options are located in Observatory, Rosebank and Rondebosch. 2019 student accommodation applications are now open on our dedicated student accommodation page! We boast several self catering cottages in Observatory, Rosebank and Rondebosch, as well as 8 self catering flats and a number of Victorian houses and Cottages. These are all situated very close to U.C.T. and are ideal for visiting students needing long term accommodation. We specialise in providing long term leases (11/12 months) to foreign students involved in U.C.T.’s international academic program (I.A.P.O.) and other international academic programs. 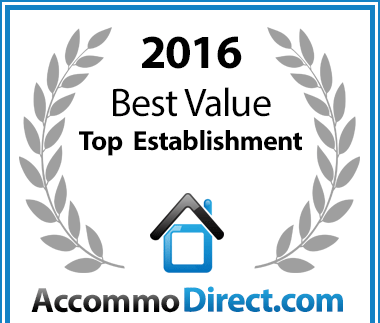 Riverview Lodge has been voted a Best Value for money Observatory establishment.